“BlacKkKlansman,” a controversial historical comedy, took general moviegoers by surprise. Overall, it was a phenomenal film. With cast members like John David Washington, Adam Driver, Laura Harrier, a renowned director Spike Lee, who won his first Oscar for co-writing the film and great writers Charlie Wachtel and David Rabinowitz, this film was destined to be powerful. At this year’s Oscars, the film was up for best picture, best director, best adapted screenplay, best original score and best film editing. 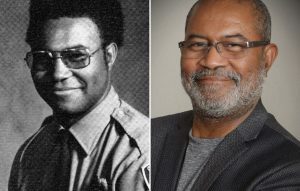 This true story follows undercover detective Ron Stallworth (John David Washington) who was the first “colored” police officer in very conservative Colorado Springs, Colo. He struggles with finding his identity as a black American as well as someone who must hide who they are in the times of extreme racism and prejudice. Stallworth is assigned to monitor a Black Student Union group of college students. The police department fears they are going to militarize, but Stallworth confidently reports that they are non-violent. He then directs the department’s efforts toward a truly aggressive organization: the Ku Klux Klan (KKK). Stallworth contacts the chapter leader over the phone, and with the help of Flip (best supporting actor nominee Adam Driver), he infiltrates the organization successfully. The two officers piggy-back off one another to keep their story straight and to prevent the organization’s plans, but the main driving force is Stallworth’s moves against the KKK. The suspense built as the officers attempt to avoid discovery will, as well as the high-stakes scenarios they prevent, keep audience members enthralled. On and off moments of light-hearted comedy keep the dark material from being too heavy, but the film also uses it as a tactic to comment on issues the movie touches on but does not fully tackle. Flip is Jewish, but never felt connected to his heritage, he finds an inner battle that emerges as he vocally denies his heritage to go undercover. Stallworth manages a love interest who is closely connected to his case, while still protecting his true identity from the organization. Real moments of intensity and philosophical debates light up the screen and stay with the viewer long after the screen has gone dark. Stellar acting on top of the writing makes this film really stand out. As an actress myself, tackling your own beliefs and comforts can sometimes be hard when the role calls for you to really put yourself out there. Most of the actors playing supporters of the KKK commit 100 percent to their role and display the ugly truths of the era with bravery. Deep thematic issues are obviously a large part of the film and the purpose behind it. Harsh issues are tackled and displayed openly, making audiences think. Modern-day references chill moviegoers, as subliminal anti-Trump themes are mentioned almost in passing. This subtly makes this film truly spectacular for an intellectual who might catch them all. The musical score is beautiful. The “Stallworth Theme” repeats over and over, sometimes monotonously, but quite beautifully. The ambiance fills the room and seems to deepen the believability of the images on the screen. The score perfectly brings tension to the scenes as well as a sense of honour and duty. As a united piece, the film is a beautifully done, strong and powerful work contributing to the ongoing discussion of race, religion, prejudice and the harsher realities of our world. Its message is hopeful, however, and brings to light a figure and endeavor that history has hidden. It allows one to reflect on how far we’ve come as a species, yet also comments on how much work we still must do to make this world united beyond the constructs and walls that divide us. Pictured is the real Ron Stallworth, the man who bravely infiltrated the Klan and prevented many acts of terrorism (Photo from The Washington Post).